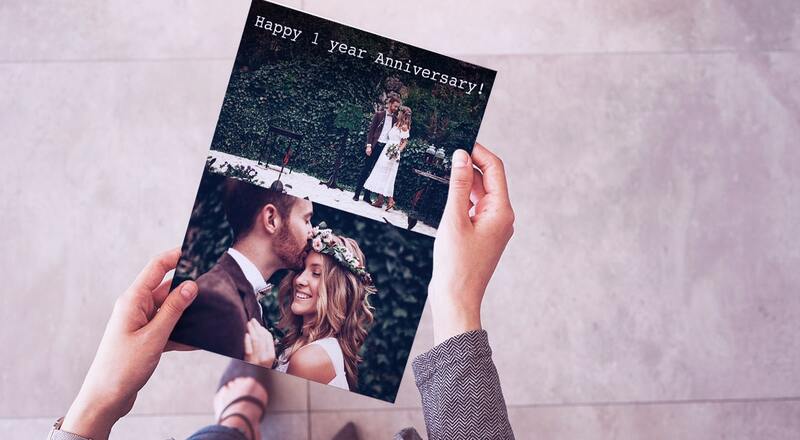 Nothing says you care like a personalised card displaying a shared memory so send your warmest wishes with picture perfect photo cards from Snappy Snaps. At Snappy Snaps, we have personalised greeting cards for all major seasonal events such as Christmas, Easter, Mother's Day and Father's Day, plus greeting cards to welcome the birth of a new baby, their christening, birthdays, wedding, anniversaries and cards for commemoration too. We print our cards on high quality card paper to ensure a professional finish and best possible results every time. Add your own special message to your photo card design then add more effects to make it a touch more special. We can personalise wedding invitations, thank you cards and birthday invites as well as stationery all personalised with your own text, images and logo. Why not design a photo gift to match your photo card? You can put the image and text onto a photo mug, t-shirt, and many other photo gifts. Creating a personalised card or photo gift is easy and quick to do; simply choose one of our stylish card and photo gift designs and add your own image. 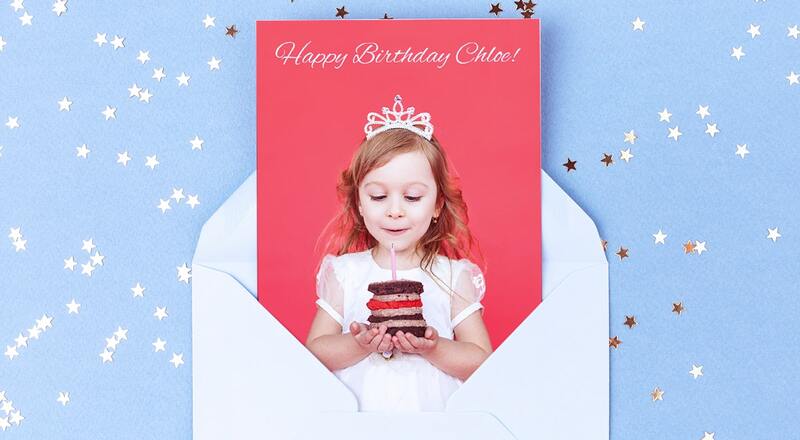 To display more than one photo, create a collage photo card featuring your favourite moments! This can be done easily online or in store on one of our photo kiosks.